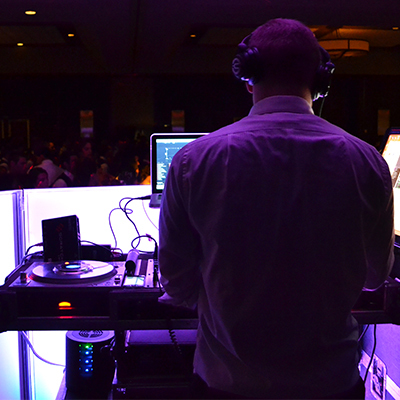 Music is one of the most important aspects of any social event. Without the right DJ playing the right music to keep your guests fully engaged and entertained, the night will drag on with everyone feeling bored by the end. Trust that 1-800-Jam-Music will not allow that to happen. Our 37 years of experience ensure that your affair will be everything you expect and more. You could have the world's best DJ, but without the right MC to compliment the music, your party could die down and never pick back up. Don't be the wedding that ended too early because your MC was an amateur. 1-800-Jam-Music's MCs know how to keep your guests excited and will clearly and professionally handle all of your formal announcements. Want to add some flare to the dance floor? 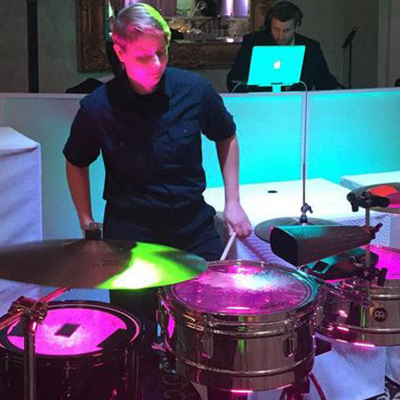 1-800-Jam-Music's Live Percussionists work with our DJs to add that "Live Feel" on all of your favorite songs. Don't just settle for a normal event, reserve your Live Percussionist today. I guarantee your guests will mention how much fun they had with this awesome party addition. 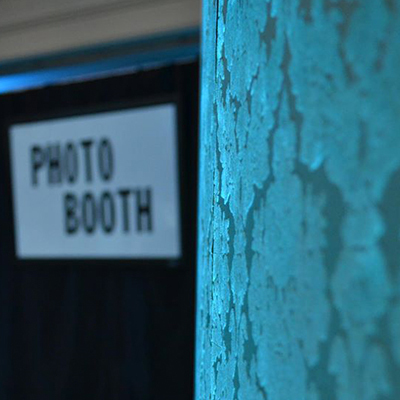 Want to know why Photo Booths are so popular at today's events? Then why don't you stop by our office and experience the fun for yourself. Photobooths are a great way to bring your guests together and give them a favor they'll actually want to take home. With so much going on during your wedding, you can’t be everywhere at once. That doesn’t mean you have to miss out on all the fun! While you’re busy tearing it up on the dancefloor, we capture all your guests’ picture perfect moments at your Photo Booth. Booking a Photo Book ensures that those memories go home with you too. The Photo Book will give your guests a copy of their picture to glue into a photo album where they can write their well wishes to the newly wed. Your guests will love posing with your very own Step and Repeat like the best dressed Red Carpet stars. As people gather in front of your custom backdrop, our photographer will take an HD photo, print it, and even frame it on the spot so each person can take home a memory. With so much going on during your wedding, you can’t be everywhere at once. That doesn’t mean you have to miss out on all the fun! While you’re busy tearing it up on the dancefloor, we capture all your guests’ picture perfect moments at your Step and Repeat. Booking a Photo Book ensures that those memories go home with you too. The Photo Book will give your guests a copy of their picture to glue into a photo album where they can write their well wishes to the newly wed.
What's a dancefloor without fun, colorful light beams to excite you and your guests? Let our Light Jockeys setup and control 2x Professional Intelligent lights to dance with the music and give your dancefloor the life it deserves. Did you want a Spotlight to follow you while you make your big introduction? What about a Spotlight First Dance? 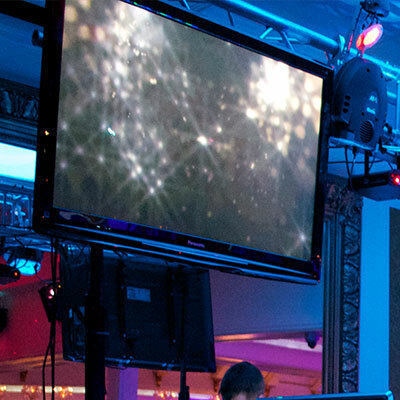 Do you want a light show that can emulate some of the world's best night clubs? Our Light Jockeys will setup 2x Professional Moving Head Lights that will sit upon Elegant Light-Up Columns to keep that contemporary wedding look while providing a light show your guests won't forget. Give your guests a memorable vision as they first enter the Main Ballroom by having your names illuminated on the dance floor. This trendy and unique feature is an impressive add-on that adds wow-factor and makes your venue feel like it’s truly yours. If you want your venue to look like it was tailored to match your wedding perfectly, you can wow your guests with custom-designed Uplighting Services. Our Professional Light Jockeys will set up dramatic lighting around the room to illuminate the walls and ceilings in the color of your choice. Do you have a Photo Montage or a Video Presentation that you would like to share with your guests? Play your media on one of our 50" Flat-Screen Displays. Hoisted high above the crowd so all of your guests can see, add additional Displays to ensure all of your guests are able to view your presentation. 1-800-Jam-Music will scan and compile up to 60 pictures of you and your significant other growing up and coming together into a beautiful five minute Photo Montage accompanied by your choice of music. A Zap Cam is a great way to capture more of the fun, candid moments at your Wedding. We will send one our Photographers out to snap some in-the-moment shots at your wedding that we can instantly display on our screens for all of your guests to enjoy. Some of the best candid moments at your wedding might be captured by the guests themselves. But you will be so busy enjoying your night, the last thing you should worry about is checking social media for pictures. We won’t let these memories get lost in the shuffle! With a custom Hashtag, we can collect photos from Instagram and create a live feed to be displayed on our screens throughout the night. Your guests will be on their feet watching the illuminated fog settle as you make your impressive Grand Entrance into your wedding reception. 2 Geysers will be set up by your Light Jockey to shoot fog straight into the air as you walk through the doors. Your First Dance will look like a dream come true when our Light Jockeys mist your dancefloor with pillowy, white clouds of fog that won't rise past your knees. This Dancing on a Cloud Effect will make your First Dance one that your guests are sure to remember. 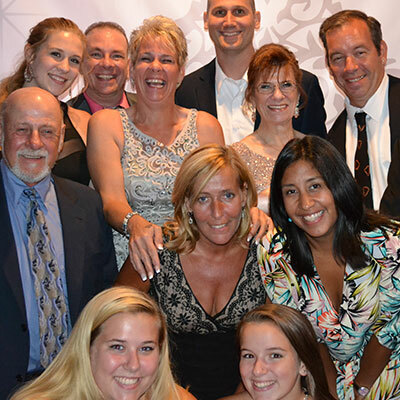 Have your moment in the spotlight as you enter the main ballroom with your Bridal Party. A bright beam of LED light will follow each person as they walk in, truly making your Bridal Party introductions the center of attention. 1-800-Jam-Music will make sure all eyes are on you during your first dance - but a spotlight will kick the excitement up another notch. Take your Wedding Entertainment to the next level and impress your guests with a Spotlight First Dance. An affordable way to have the music you want played during your Cocktail Hour. 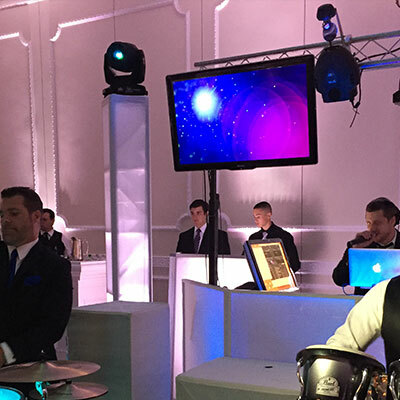 You and your DJ will create a mix that will set the tone of the evening and keep your guests entertained while they enjoy all the amenities of the Cocktail Hour. 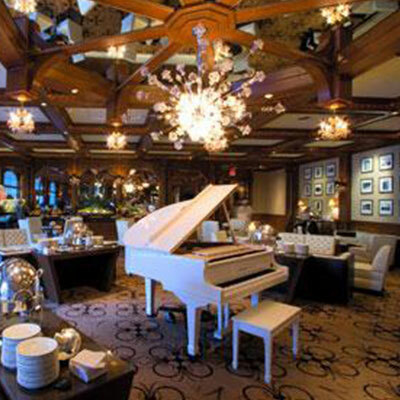 A Piano Player is the classic choice for Cocktail Hour entertainment and it is the most popular option for our couples. As with all of 1-800-Jam-Music’s staff, our pianist will show up dressed for the occasion and prepared to play for the duration of your Cocktail Hour. We always provide a backup keyboard for a quick and easy setup in the event your venue does not have a working piano of its own. 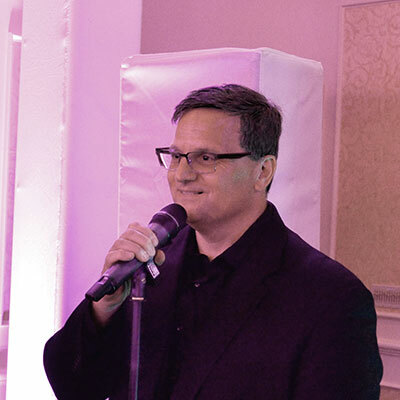 If you prefer to have live music for your Wedding’s Cocktail Hour, 1-800-Jam-Music offers you the choice of several professional ensembles that will make your guests feel like they are at a high-end lounge. Each with a different and unique sound, we can offer our Saxophonists, Piano and Sax Duo, Classical String Trio, or even a String Quartet. The best way to get beautiful, crystal clear sound throughout your Wedding Ceremony is to use a DJ with a professional sound system. 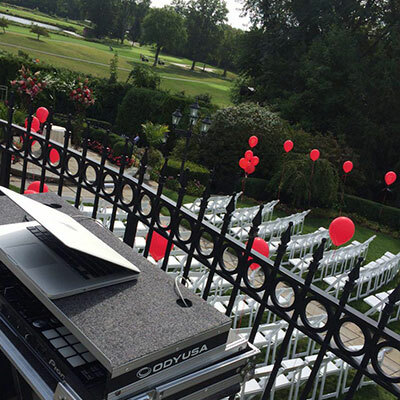 Our professionally dressed Wedding DJs will make sure every song is cued up and timed perfectly to ensure your Wedding Ceremony is picture perfect!